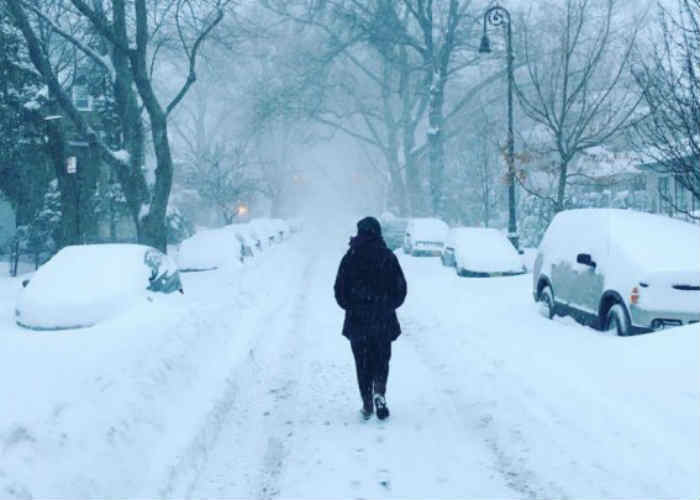 An Instagram user shared an image of a snow covered street in Brooklyn. 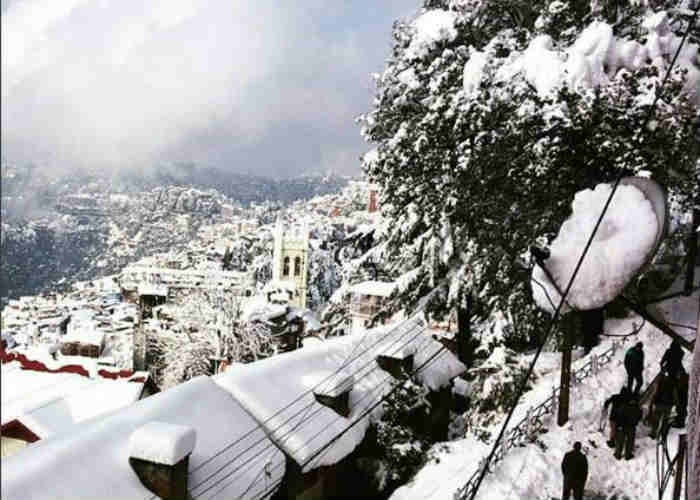 A thick cover of snow has blanketed the streets. 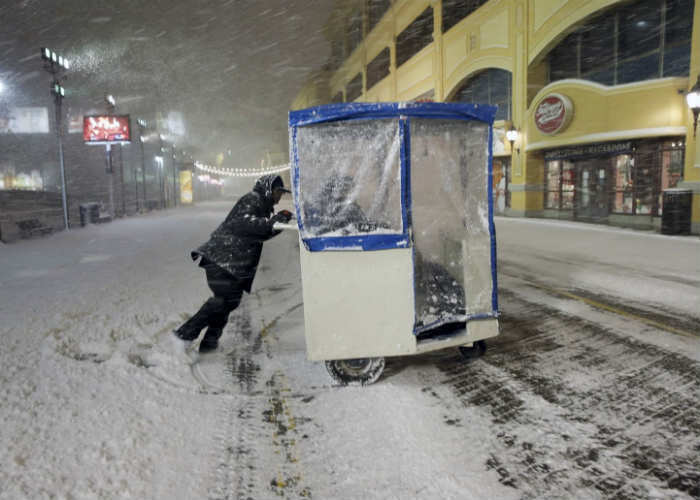 A pushcart operator in Atlantic City continues to work even during heavy snowfall. 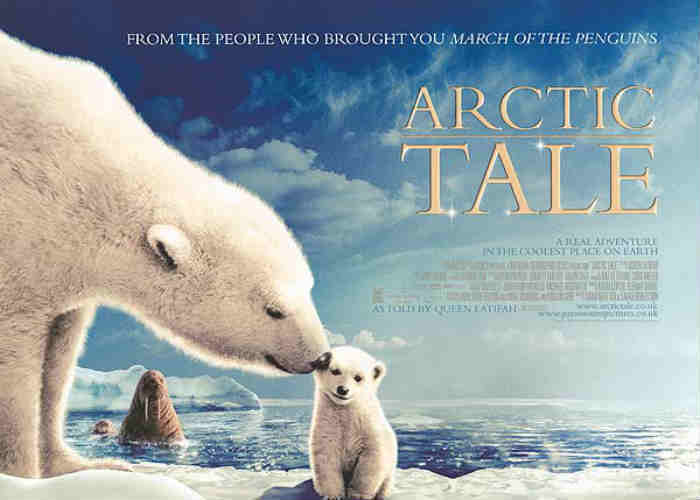 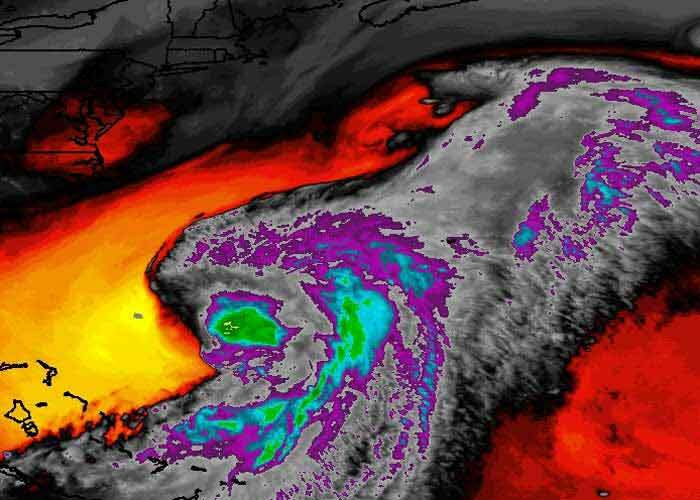 Storm Jonas had caused massive snowfall over several parts of United States. 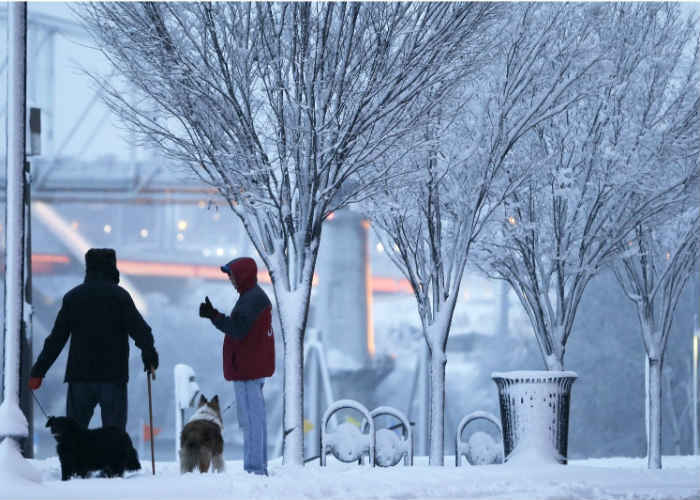 Two neighbours along with their dogs go out for an evening stroll before the worst of the storm hit Tennessee. A jogger gets out to exercise probably for one last time before the possibility of being homebound for days. 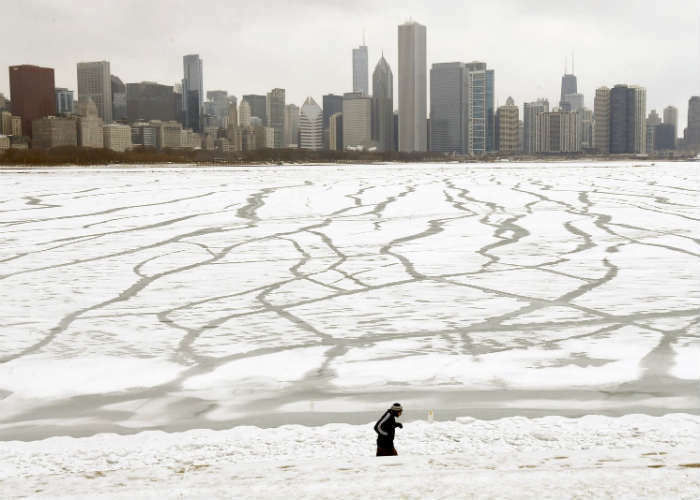 Storm Jonas had also hit many areas of Chicago. 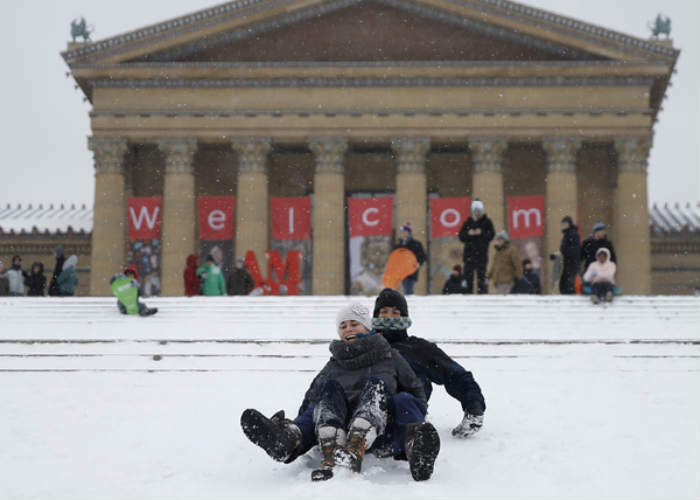 After storm Jonas hit Philadelphia, a couple is seen sledding the steps of the Philadelphia Museum of Art. 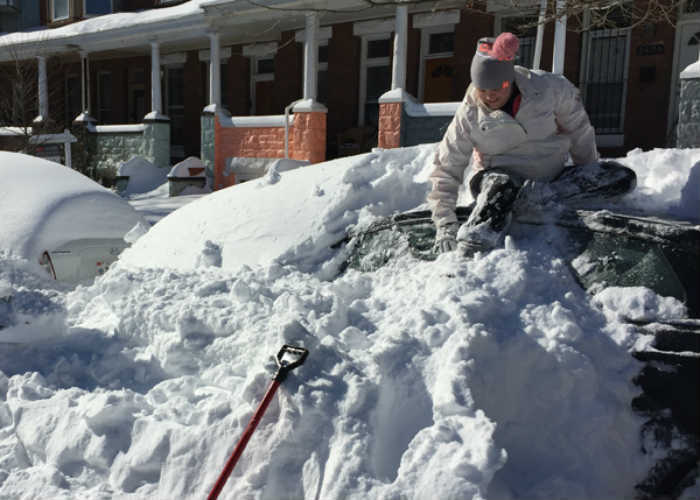 A woman sits on top of her car in Baltimore after Jonas dumped about two feet of snow over the region. 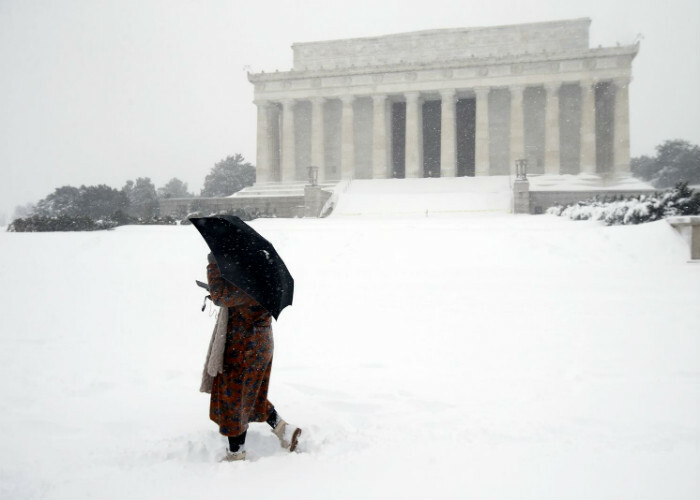 A woman is seen walking in front of the snow covered Lincoln Memorial. 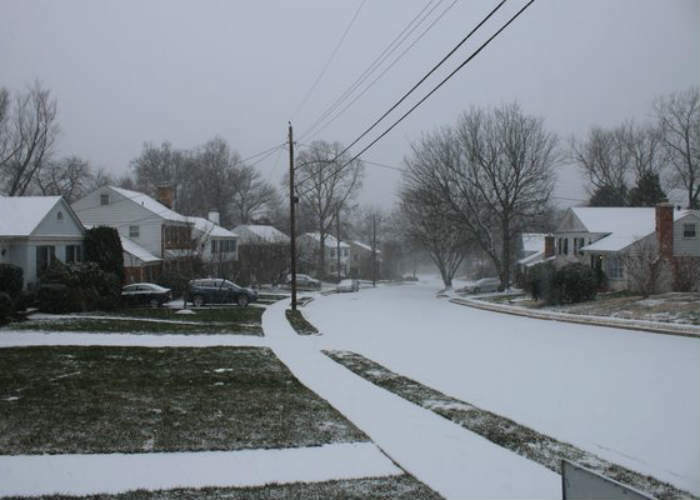 Before the storm, a state of emergency was declared in Washington D.C.
A twitter user shared an image of a street in Arlington, Virginia just an hour after storm Jonas hit the area. 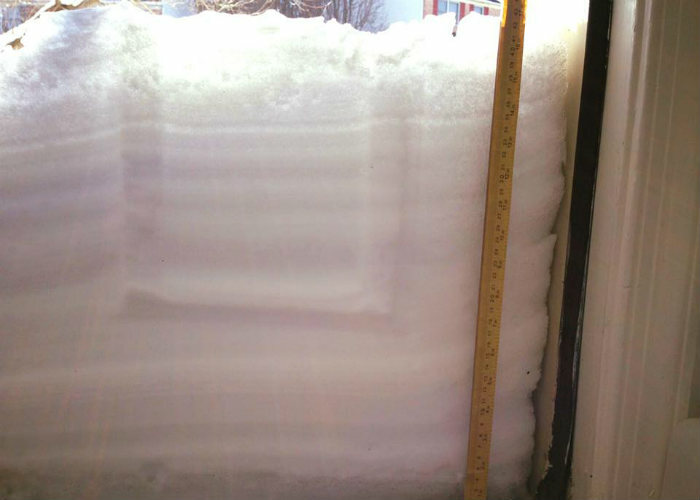 A Facebook user from Wilmington, Delaware shares an image of her door where 18 inches of snow was deposited after storm Jonas wreaked havoc over the region. 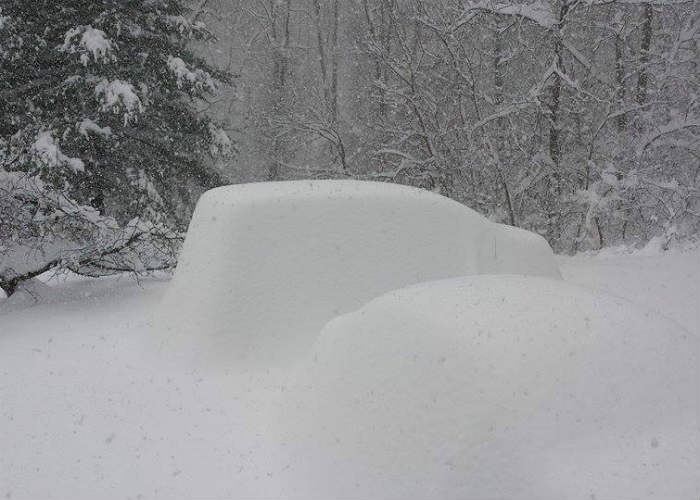 A reddit user shares an image of a car entirely covered in snow. The image was taken in Hagerstwon, Maryland.